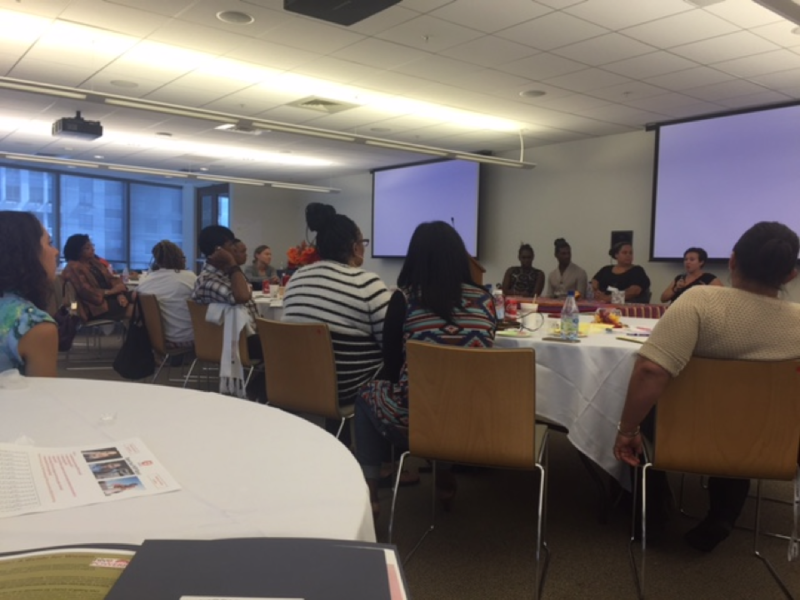 On August 29th, HIVE was invited to participate in WORLD’s daylong convening on Women & PrEP. There was lots of dialogue and some insightful, groundbreaking research shared. 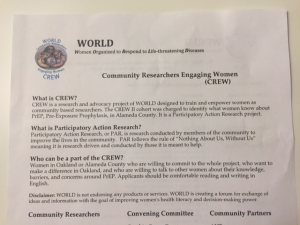 Participatory action research is awesome. It is grounded on the idea that lived experience is important and including community members throughout the research process is essential. To learn more, check this out. 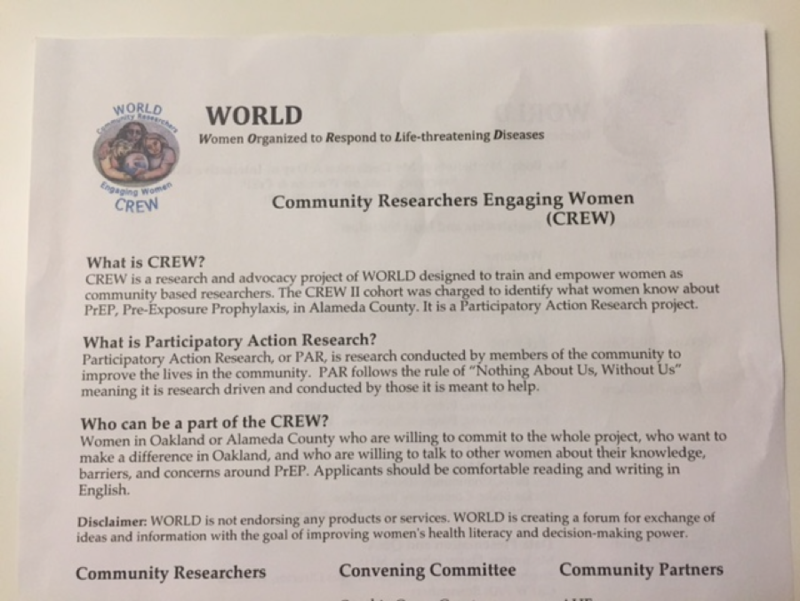 WORLD’s CREW (Community Researchers Engaging Women), conducted research via surveys and interviews in their community, and reported back their findings at this event. There was also a panel of experts/providers who talked about how PrEP is rolling out in different programs here in the Bay Area and in different parts of the country. Later in the afternoon, there was a panel for and by people affected by HIV, some PrEP users, some not. Overall, it was a powerful day filled with thoughtful dialogue and research. We are looking forward to more from the CREW at WORLD! 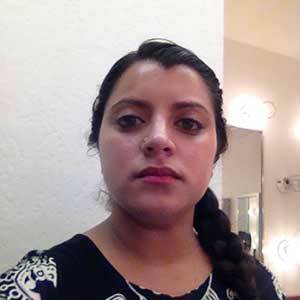 Yamini Oseguera-Bhatnagar is the POWER Health Coordinator at HIVE. She is wifey to Juan and mama to Gayatri and Kabir. She and her family live in San Francisco, with Chutki, their 6 year old pit-bull. Yamini is an advocate for Ethnic Studies, PLWHIV, women’s reproductive rights, and self-determination for all.